Project Draco was our free technology preview from Autodesk Research that makes animation as easy as sketching. The easy-to-use interface allows you to add a rich set of subtle, continuous animation effects to your images (e.g., JPGs, PNGs, GIFs) without the complications of timeline and key-framing. Project Draco outputs to video that can be used to create an animated GIF file with tools like Camtasia Studio. The technology preview has ended. Thanks to everyone who participated in the preview. 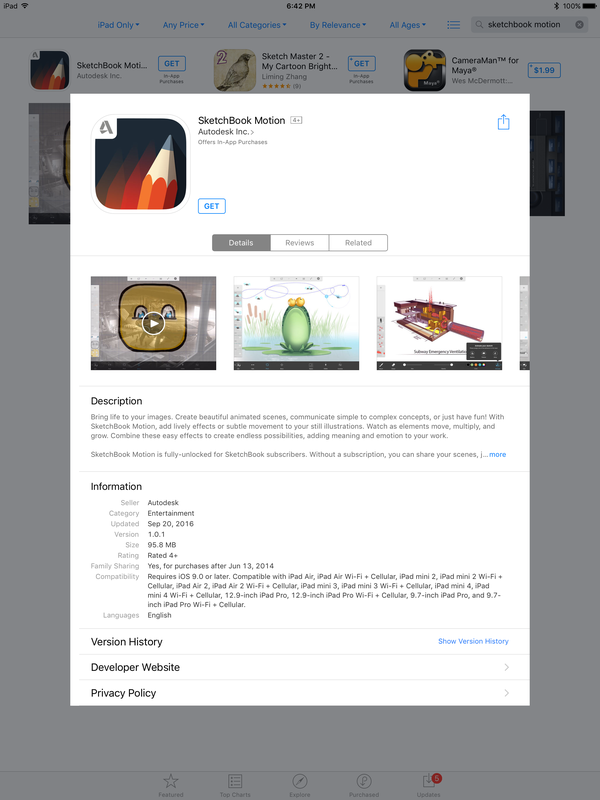 The technology is now available in the Apple App Store as SketchBook Motion for iPads. Check out this blog article that covers SketchBook Motion. Here's what it looks like in the Apple store on an iPad.